As promised earlier this year, Microsoft finally released the new update for Windows Store users can get hold of by updating the Store app. But what did Microsoft change and what’s affected by this update? Not so much, to be completely frank. The Windows Store does receive a card-based design and a revamped Fluent Design look, but there’s a long road before the Windows Store is able to compete with the likes of the Play Store or Apple Store. These aesthetic changes include new parallax effects and a redesign of the navigation bar. Additionally, users can now ”Pin to Start” apps directly from Windows Store, something which can come in handy. It seems the main idea behind this update is to get Windows Store ready for the upcoming changes in the Fall Creators Update. And it seems that, based on this update, they’re on the right track. As we already stated, users can get this update from the Windows Store. Since the rollout is a recent event, there’s a chance that certain users might wait for some time before the update comes to them. 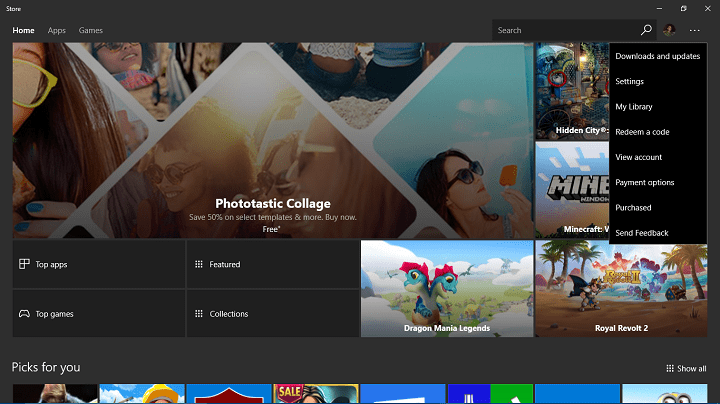 What do you think about the redesigned Windows Store app? Feel free to share your first impressions with us in the comments section below!